This project was part of the Lead Creative Schools Scheme. 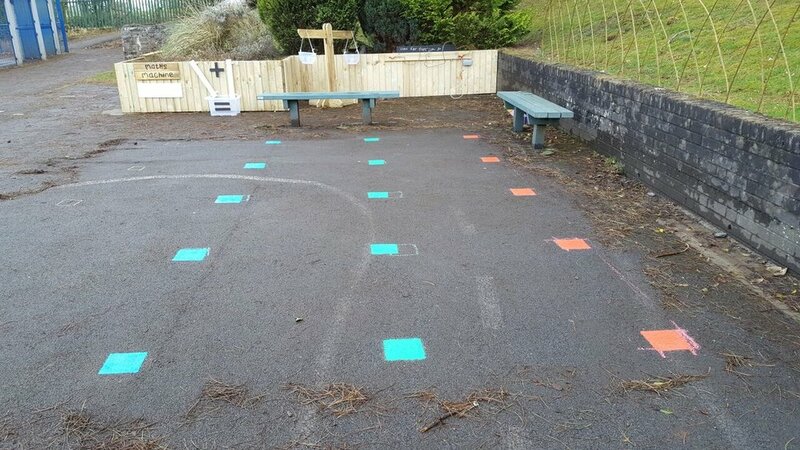 I worked alongside 2 other creative practitioners to develop maths zones in the school grounds. A planning day for the creative agent, creative practitioners and school staff. It was decided that we would develop several maths zones with the learners. Developing Llygaid Mathemateg with the learners in the school grounds. Seeing the maths we could find in the world around us. Learners took their own Llygaid Mathemateg pictures and created challenge cards for the other learners in the school. Learners planned out the playground markings for the Maths Zones. And got side-tracked by Christmas to make decorations from resources found in the grounds. Learners recorded their ideas for the playground and voted on their favourite ideas. We also made tangram shapes from recycled rubbish. Learners used their measuring skills to chalk out the playground markings. The playground markings were painted (after drying out the playground by hand which was a humongous task). 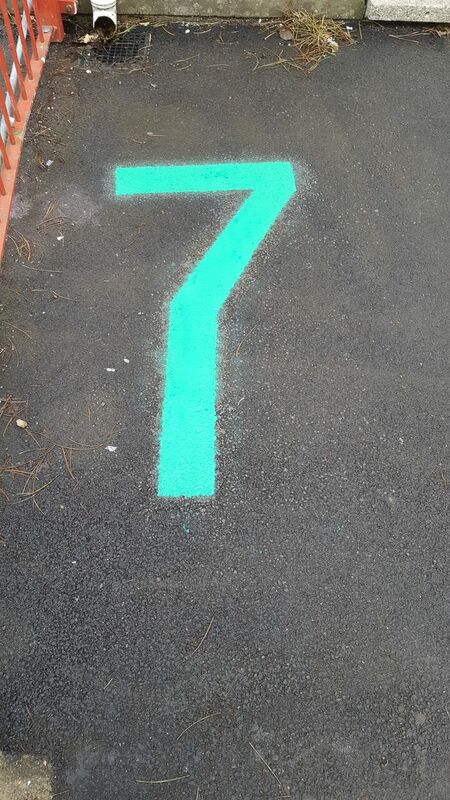 There was plenty of paint left over for learners to create new markings in the summer too! The school had fab new maths zones for the learners. Learners, staff and creative practitioners developed new skills, confidence and problem-solving skills.